In an interview, Maren Koss argues that while Hezbollah and Hamas split over Syria, they see advantages in reconciliation. Where Do You See Gaza Going in the Coming Decade? What Book on the Broader Middle East, New or Old, Do You Recommend As Summer Reading? What Worries You Most in the Middle East This Summer? As Hamas tries to rebuild its military credibility, Israel is reacting to this in lethal ways. Is a War Between Israel and Iran Over Syria Inevitable? Former U.S. negotiator Aaron David Miller surveys the Middle East and believes transformative diplomacy is out of reach. Mohammed bin Salman’s recent remarks about Israel seemed to be old wine in a more attractive bottle. The Trump administration’s plan for Palestinian-Israeli peace appears to take only one side into consideration. How Likely Is the Outbreak of a New Palestinian Intifada in the Coming Years? If the Trump administration stops funding UNRWA, the humanitarian consequences will be dramatic. Maha Yahya discusses the implications of the U.S. decision to recognize the city as Israel’s capital. The U.S. Has Recognized Jerusalem as Israel’s Capital, What Happens Next? Donald Trump’s decision on Jerusalem makes the U.S. much less likely to be trusted as an honest broker. 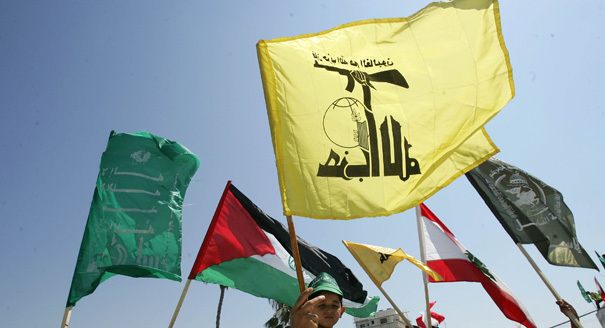 Will the Fatah-Hamas Reconciliation Work This Time? Elliott Abrams addresses the nuclear deal with Iran and how the Iranian-Israeli rivalry might impact the Middle East. Is a War Between Hezbollah and Israel Likely in the Coming Year? Is there any role for the UN in a polarized Middle East? Marwan Muasher talks about a new Carnegie report describing shifting Palestinian attitudes towards peace talks. A younger generation of Palestinians is no longer committed to a two-state solution. Does Khalifa Haftar Have the Capacity to Become a New Mu‘ammar al-Qaddafi?